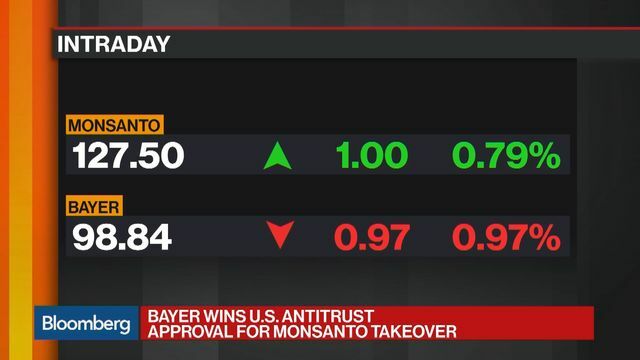 Bayer AG has obtained antitrust approval for the acquisition of Monsanto Co. for $ 66 billion. This overcomes the last major regulatory hurdle for the world's largest seed and agrochemicals provider after a nearly two-year global review] The companies have reached an agreement with the Justice Department that addresses the government's concerns that the merger was originally structured for consumers and businesses Farmers could harm, the US said Tuesday. The agreement requires the sale of assets to BASF SE, which Bayer had previously announced. The divestment package is worth about $ 9 billion, the largest in US merger control, the government said. "America's farm system is vital to our economy, our food system, and our way of life." Makan Delrahim, head of the department's cartel department, said he had a call with reporters. 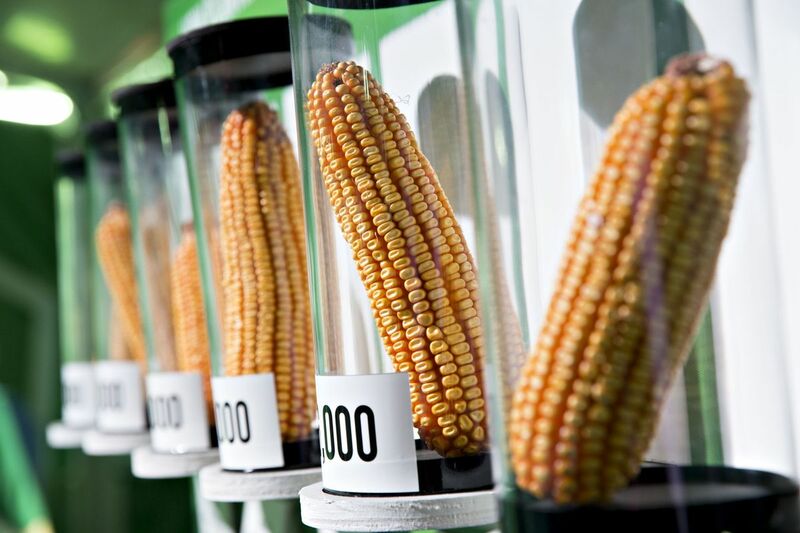 "American farmers and consumers rely on direct competition between Bayer and Monsanto." For Bayer, the acquisition of Monsanto is the last step in a transformation of the company, as the 154-year-old company cut back on its plastics business and reshaped as a life science company large health and agricultural units. Once the agreement is finalized, three global giants will dominate the global agriculture industry, a prospect that worries farmers about the possibility of higher prices and less choice. National Farmers Union, the second largest US farmer group, criticized the Justice Department Tuesday for "continuing rubber stamping" of mergers in food and agriculture. "This extreme consolidation is driving up costs for farmers and limiting their choice of products in the market," the group said in a statement. "We will now focus on ensuring that Bayer and Monsanto's commitments are met throughout the approval process." California officials said on Tuesday that they would "carefully" review the Justice Department agreement. The prosecutor of the state, Xavier Becerra, said in a statement that "this deal could further stifle competition in the agricultural sector". Attorneys General are empowered to challenge mergers in court. The agreement came after the Department of Justice's antitrust authorities pushed for substantial divestments to address the competition issues by merging the two companies. The companies have received antitrust approval from most jurisdictions around the world. Bayer is confident that the transaction will be completed by the 14 June deadline. Bayer expects to receive the necessary permits from Canada and Mexico in the coming days, according to the Leverkusen-based company. The European Union approved BASF as buyer of assets on Tuesday. Bayer can complete the transaction as soon as the remaining permits are in place, although the integration of the two companies will take place only after completion of BASF's divestitures in about two months. Monsanto, based in St. Louis, said it was satisfied with US approval. The acquisition of Monsanto extends a number of agricultural mergers. Last year, US and EU regulators approved two other important deals in the sector, the merger of Dow Chemical Co. with DuPont Co. and the acquisition of Syngenta AG by China National Chemical Corp. Bayer and Monsanto will outperform DowDuPont Inc. and China National with sales of approximately $ 48 billion. The Department of Justice said that without the sale of assets, the merger would have caused a number of competitive losses. Both companies sell seed and chemicals to farmers, and the combination would have raised prices and reduced choice, the US said. The originally proposed transaction would also have combined the Bayer seed treatments with Monsanto seed and given Bayer the incentive and opportunity to raise prices that competing seed companies would pay for treatments. Both Companies Are Competing in Developing Harvest-Enhancing Technologies The government added, "If BASF combines the divestments with its existing portfolio of crop protection products, it will have the breadth of product offerings to play Bayer and to be an effective competitor of the other integrated agriculture technology company, "said Delrahim. In October, Bayer initially agreed to sell some of its seed and chemical businesses to BASF for 5.9 billion euros. The agreement included the herbicide brand Liberty, cotton and soya seeds, and seed and breeding capabilities. In April, Bayer announced that it would sell more of its agricultural business to BASF for $ 1.7 billion to satisfy regulators. The agreement included Bayer's vegetable seed business, other herbicides, wheat hybrids research and Bayer's digital agriculture business. Bob Young, president of the Agricultural Prospects consultancy in Grasonville, Maryland, said the merger is on a good idea as the DowDuPont deal was approved. At present, only DowDuPont has the advantage of streamlining the research and development of seeds and chemicals within a company. The environmental organization Friends of the Earth criticized the government's decision to approve the merger and called it a "toxic mega-merger" that would hurt farmers and consumers. "DOJ's weak sales requirements will not prevent Bayer Monsanto from controlling more and more of our food system," said Tiffany Finck-Haynes, Friends of the Earth Senior Food Futures activist Statement. "This merger will affect the bargaining power of family farmers, prevent farmers from gaining access to different seed varieties, and raise seed prices."